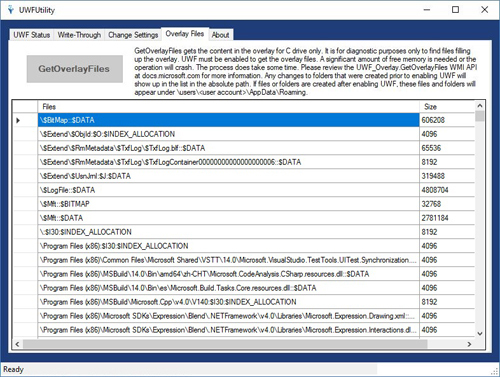 The Unified Write Filter (UWF) protects a drive by redirecting all disk writes to an overlay. 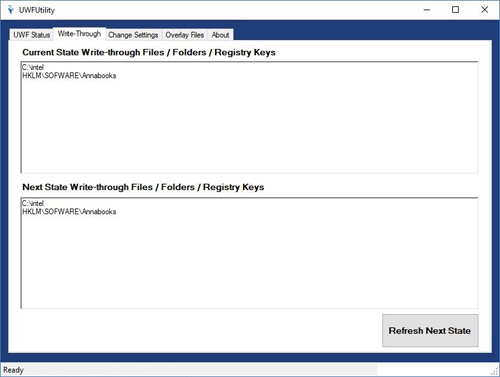 Out of the box Windows 10 Enterprise supports a command line utility (uwfmgr.exe) to manage UWF. 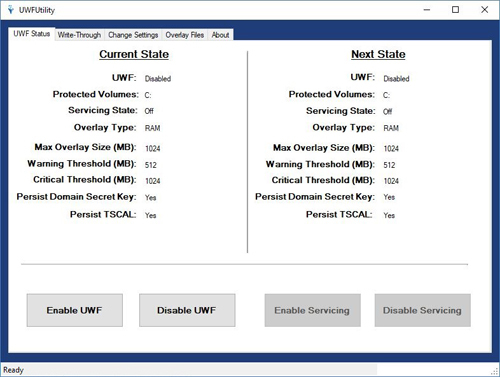 The UWFUtility provides a graphical interface to UWF so you don’t have to drop to the command line each time. Built on the UWF WMI API set, the UWFUtility provides basic status and some functionality to interact with the UWF. 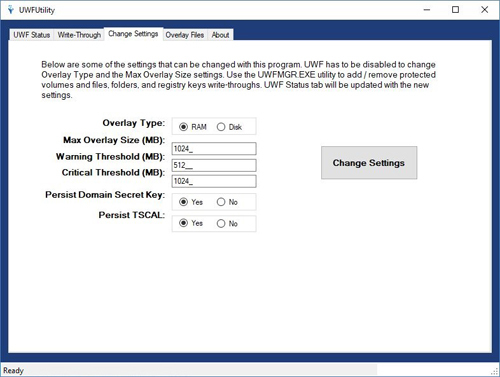 It also includes a couple of actions that are not included in the uwfmgr.exe utility: enable/disable TSCAL and Domain secrete key write-through, and getting a list of the files in the overlay. The utility is provided as free software, but there has been limited testing. There is no warranty so use at your own risk. Feedback is welcome.